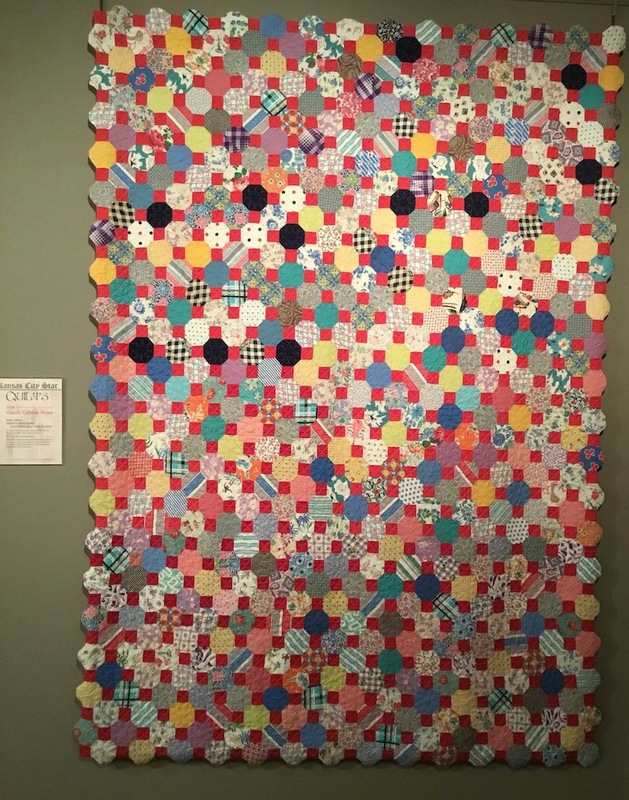 Going on at The National Quilt Museum in Paducah, Kentucky, right now, is an exhibit of Kansas City Star Quilts, curated by my good friend, Edie McGinnis. 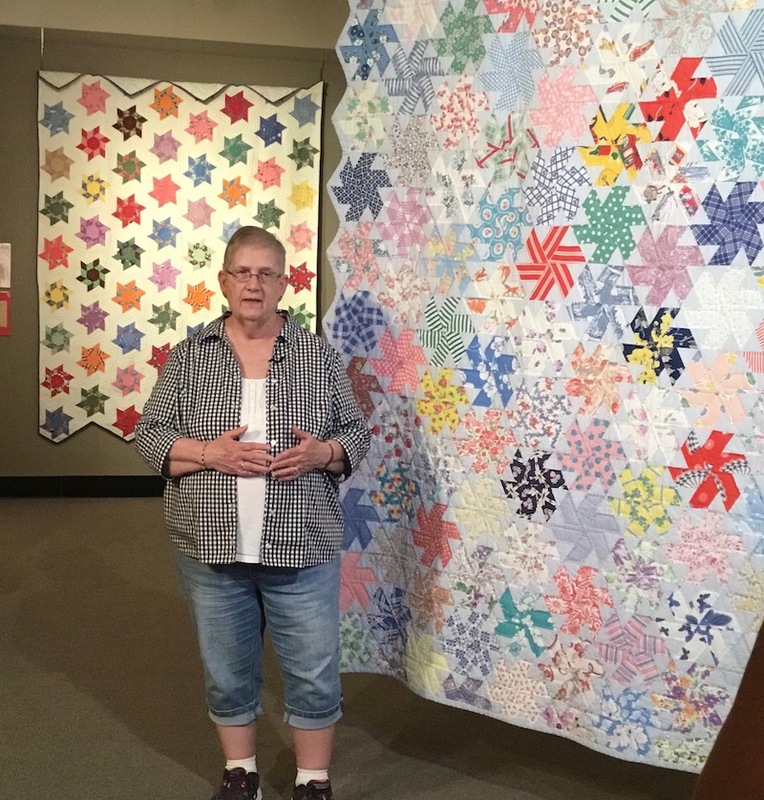 Having worked for the Kansas City Star for many years, and being responsible for them starting up their quilting book division, Edie is an expert on the Kansas City Star’s quilting patterns, which were published periodically in the newspaper beginning in 1928. 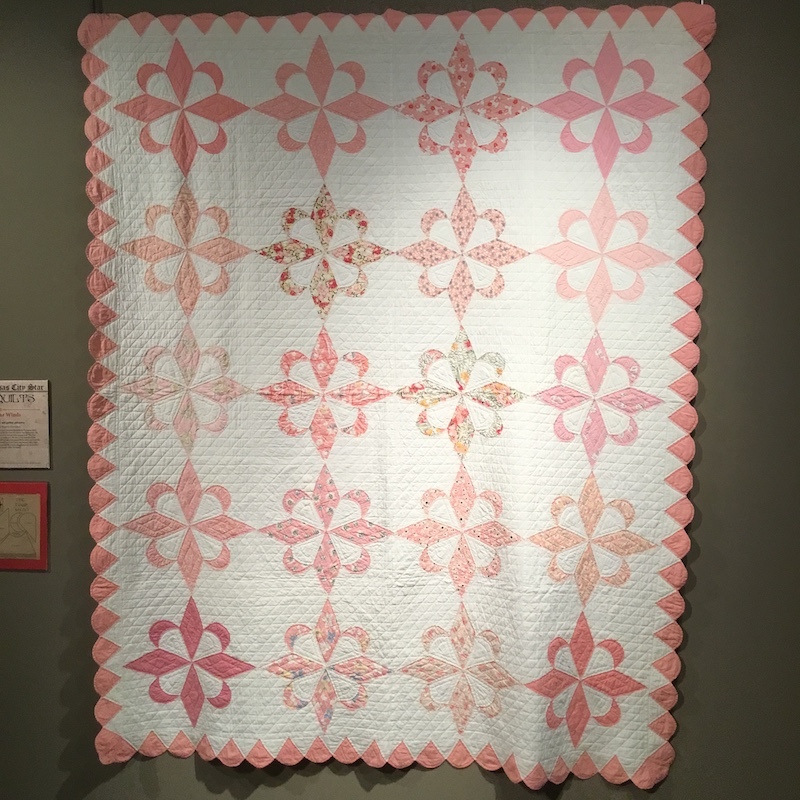 Edie owns quite a collection of these quilts, and some of them are on display in this exhibit that runs until December 4th. If you are anywhere near The National Quilt Museum before this exhibit ends, I highly recommend you go see it. My sister and I went to see the exhibit in September, in conjunction with the AQS Quilt Show that was going on at the time, and so we could go see it while Edie was there, too. Edie gave a talk about the exhibit while she was there, and you can watch that HERE. The quilt she is standing in front of, Whirligig Hexagon, is one that she made out of feed sacks. Edie is also an expert on feed sacks, and has even written at least one book about them (out of the 18 books she’s written)! Edie purchased some of these quilts as tops, and I had the honor of getting to machine quilt several of them. 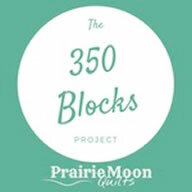 I’ll show you a few of the quilts in the exhibit, as a teaser — but you really should get there and see them all! This one is made from the 1940 pattern, Springtime in the Ozarks. The maker is unknown, but I had the honor of getting to quilt it. This one is called Ozark Cobble Stone, a 1936 pattern, also from an unknown maker, and quilted by me. Don’t you love that edging? This quilt is made from the 1937 Golden Circle Star pattern, and I had the honor of quilting this one, too. The maker of this one is also unknown, but I have to say they knew what they were doing, because this one was expertly put together, which made my job a lot easier! This one is my very favorite from the entire exhibit. I love it so much, I’m very tempted to make one! It’s called Four Winds, and the pattern is from 1932. The maker and quilter of this one is also unknown — see how important it is to label your quilts? This is an amazing quilt, and is just one of the amazing quilts in the exhibit. 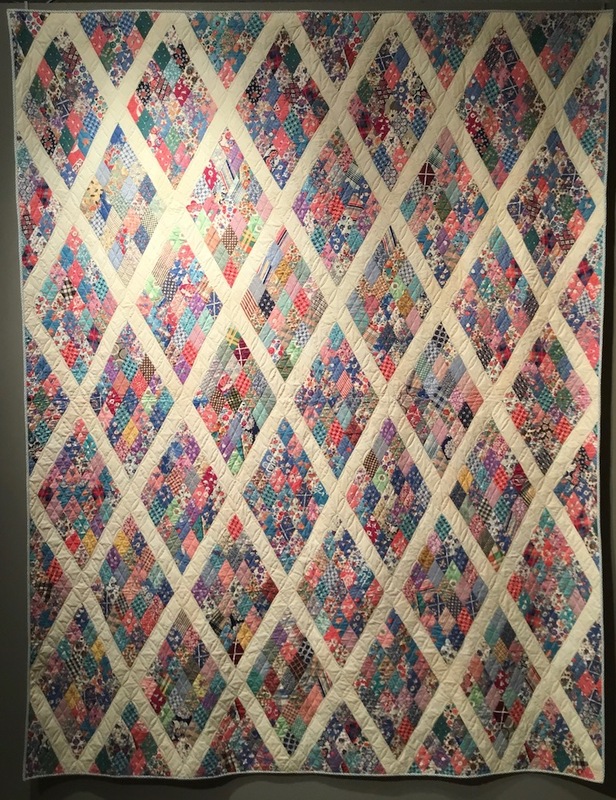 The exhibit ends December 4th, so don’t miss your chance to go see it at The National Quilt Museum in Paducah, Kentucky. You can read more about the exhibit itself HERE. I was just telling someone about her whirligig quilt yesterday. We got to visit the show in Oct after visiting our daughter in Tennessee. Love stopping and seeing what new they have on exhibit. I even told my husband that I recognized your name in the quilting. Oh it is so nice to travel through the ether and see quilts so far away… My quilt friend just left… We put up the tables and pinned three quilts for domestic machine quilting. She is such a good friend, all ways nudging me to better seams and better quilting. Snow is drifting down outside and the world is all grays blacks white and brown…. Is the pink one all appliqué or partly pieced? Love it too. 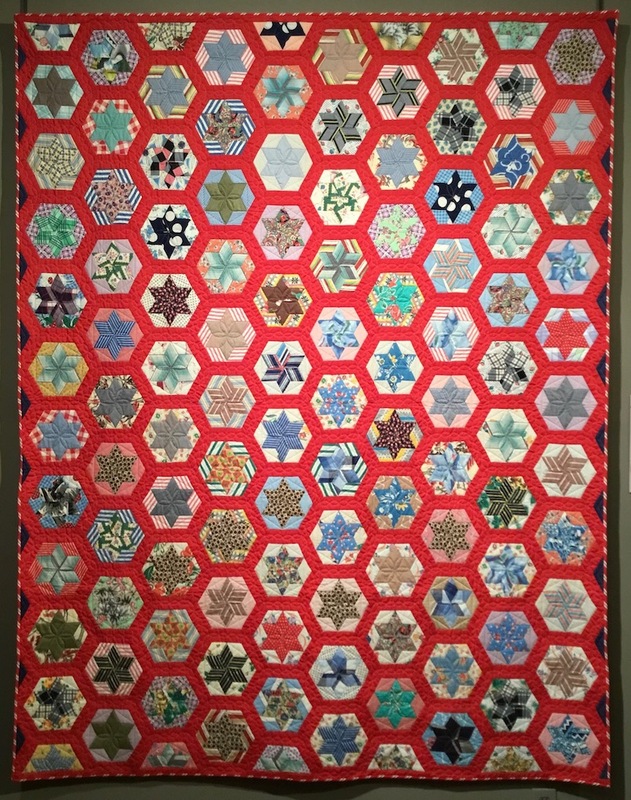 I have a Whirligig Hexagon quilt that I just love and have seriously thought about recreating with scraps of my own. I had the pleasure of seeing this exhibit too and it is wonderful! The quilts are amazing such history…unfortunate about no labels. 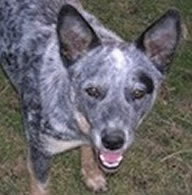 Where do you find the patterns today Ireally like springtime ozarks & circle stars. Thank you for sharing!! 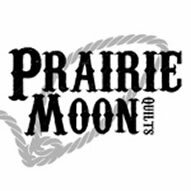 I am so blessed to know so much about the quilting world. 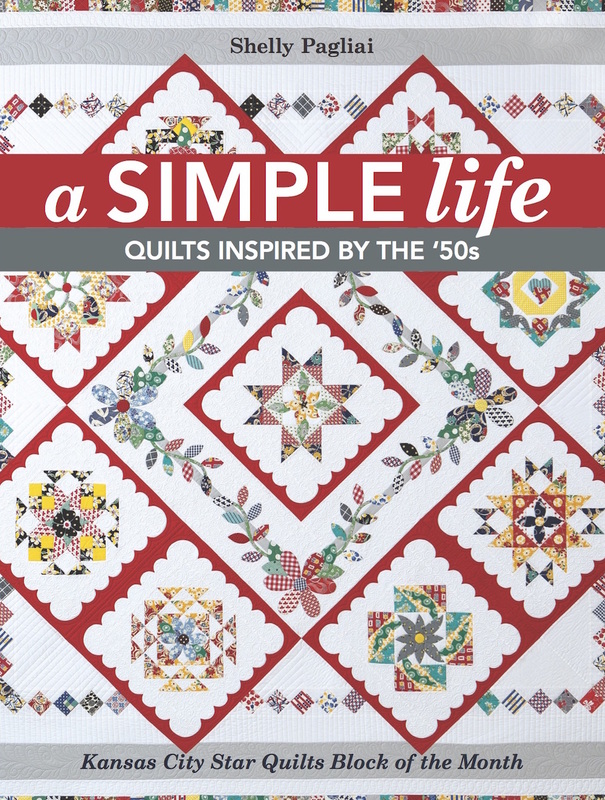 Kansas City Star patterns and those people from Kansas City and neighboring places in Missouri have made such a marvelous contribution to the quilting world. Thanks for being my quilting tutor and for your blog!! !